With the many advancements in technology, there are many things you can use for your business. New technology has changed the way in which consumers connect with businesses online. It is no longer a mere case of advertising yourself via traditional means. Instead, you need to use all the new tech available to you to hit people with a whole host of marketing streams. If you are not up to date with the latest technology, you might find that you struggle in the business world. Don’t worry. People make entire careers out of becoming technology experts. Nobody expects you to know everything. If you want your business to succeed, though, you need to do your utmost to ensure that you understand the bare necessities of tech. You can use both business and consumer technology to promote yourself to your demographic. Here is everything you need to know. You might think that your iPad is just good for playing games and apps. Loads of people have iPads, but few use them to their full potential. Why spend $500 on a gadget that you are not going to use? Instead, you need to ensure that your iPad works for you. The surprising thing about tablets is that you can take them anywhere. 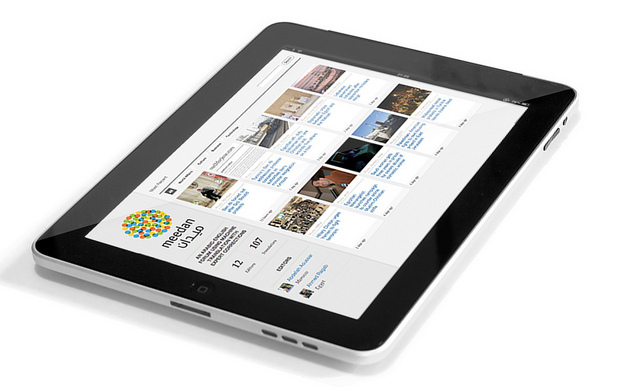 In fact, if you are a busy person, you can carry your iPad to meetings and conferences. That means that you always have technology at your fingertips. It also means that you can stay up to date with your social media marketing when you are on the go. Social media marketing is not just about Facebook and Twitter. In fact, you can make instant profits with Instagram if you know how to use it well. Use a centralized app, such as Hootsuite or Klout, to control all your social media streams at once. Market research is at the heart of any successful business. If you want to make some money, you need to ensure that your business pays attention to consumers. The old fashioned way of finding out what people think of you is a little outdated and time-consuming. Researchers used to use forms, surveys, and interviews to compile data. These methods took loads of time, because the data processing was a laborious job. Now, there are other ways to find out what consumers want. An audience response system allows users to input responses to certain triggers. For example, if you are showing customers a video, they can rate it as it plays. That means that you get an immediate response from your clients. Few people realize the potential of building apps for their business. These days, you need to be diverse if you want to survive in the world of business. That means that you need to ensure that your company is at the forefront of new technology. Creating an app to make the user experience easy or fun for your customers is a great way to promote yourself. For example, if you own a restaurant, you could develop an app so that people can book a table with you. That way, users will always have your app on their phone or tablet, and so you will be at the forefront of their mind. If you want to get your concept out to people, you should take it to the streets. Interactive advertising is an excellent way to reach out to consumers. The advertising boards look much like giant tablets, and often have games or quizzes on them. Research suggests that many users engage with these advertising boards when they see them. The point of marketing is to get people to engage with your business, and so interactive advertising is an innovative idea.